We’ve identified the five most competitive House races in the country, and they’re all seats held by Republicans. 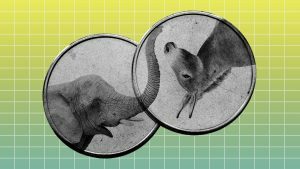 The races in Iowa, Florida, Texas, California and Maine — all considered true coin flips — will help determine whether Democrats will win control of the House in November, according to conversations with more than a dozen Republican and Democratic pollsters, strategists, analysts, and operatives. Why it matters: The 2018 midterms battlefield is changing every week, and this list shows the uphill battle Republicans will face if they want to keep control. There are a lot of close races, but these ones are especially close, and some haven’t gotten the attention that analysts say they deserve. Here’s what binds these five races together: They’re the ideal place for Democrats’ blue wave to crash in 2018. They’ve kept their GOP reps over the years, but have been slowly shifting toward Democrats — as seen either in the way their district voted in the last presidential election, in the incumbent Republican’s victory margin in his last re-election bid, or in the support for the Democratic candidate in this year’s primaries. Iowa’s 3rd district: It’s held by Republican Rep. David Young, who Kyle Kondik of Larry Sabato’s Crystal Ball calls “an accidental incumbent.” He was selected to run at a convention in Iowa in 2014 after getting less than 35% of the vote in the primary. “This will be a trickier environment” than 2014 and 2016 for Republicans, Kondik says, and Democrats think Cindy Axne — who got 58% of the vote in her primary and is backed by the Democratic Congressional Campaign Committee — is a strong candidate for them.